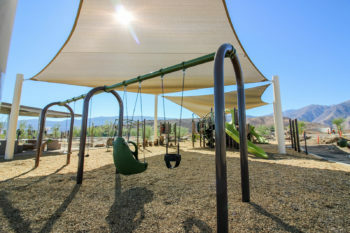 Borrego Springs, California - Only weeks remain before Borrego Springs celebrates the grand opening of a new County library, park and Sheriff’s office. Construction workers are putting the finishing touches on the buildings and park now so all three will be ready for their formal debut on December 8. Once solar panels are installed on the parking lot shade canopies in February, the branch will be the County’s third zero-net-energy facility. That means all the energy needed to run the building will be produced onsite. 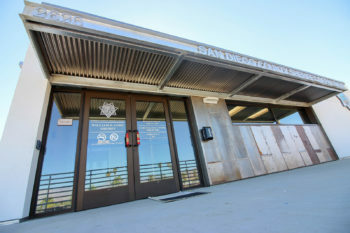 The new Sheriff’s office shares the same property as the library and park. The state-of-the-art building measures 1,600 square feet and replaces an old facility across the street that used to be a bank. The expanded space will accommodate Sheriff’s deputies and members of the Sheriff’s Senior Volunteer Patrol as they serve the communities of Borrego Springs and Ocotillo Wells.